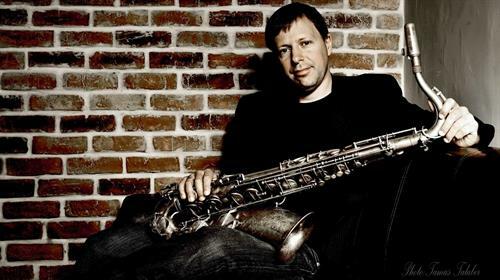 A world-class soloist, accomplished composer, and formidable bandleader, Grammy Award nominated saxophonist Chris Potter has emerged as a leading light of his generation. Potter's music showcases limitless creativity and a vibrant sense of swing, prompting critics, musicians, and fans alike to cite him as the one of the finest saxophonists today. The New Yorker calls Potter, "A tenorist who can remind you of Joe Henderson at his craftiest, he employs his considerable technique in the service of music rather than spectacle." With his 2019 Edition Records release, Circuits, Potter makes a return to groove, echoing music from his Underground era. Joined by keyboardist James Francies and drummer Eric Harland, Potter's new music thrives on the band's chemistry, blending a vibrant soundscape of electronics, melodies with unforgettable hooks, and surprising turns of phrase, all played with relentless energy.